Ahhhhh…life is good. Truly life has never been better. We have not had internet for weeks but I’m plugged in today so I’m blogging like a madwoman. 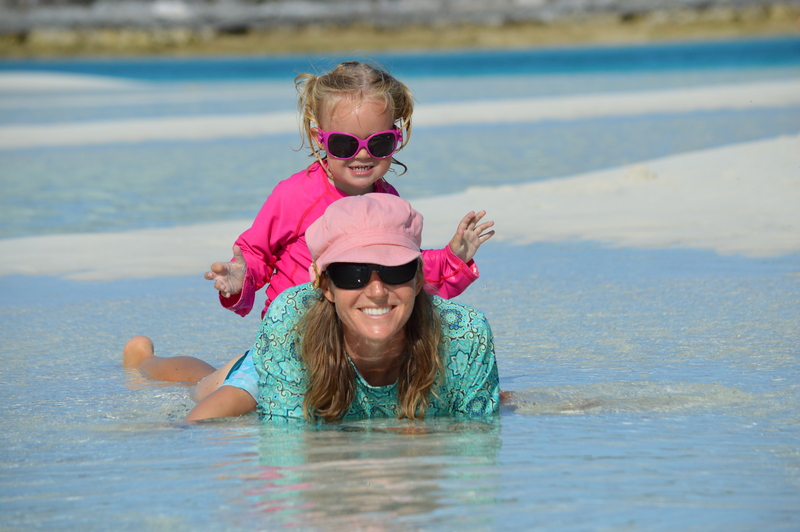 We are loving The Exumas and can’t rave about it enough. 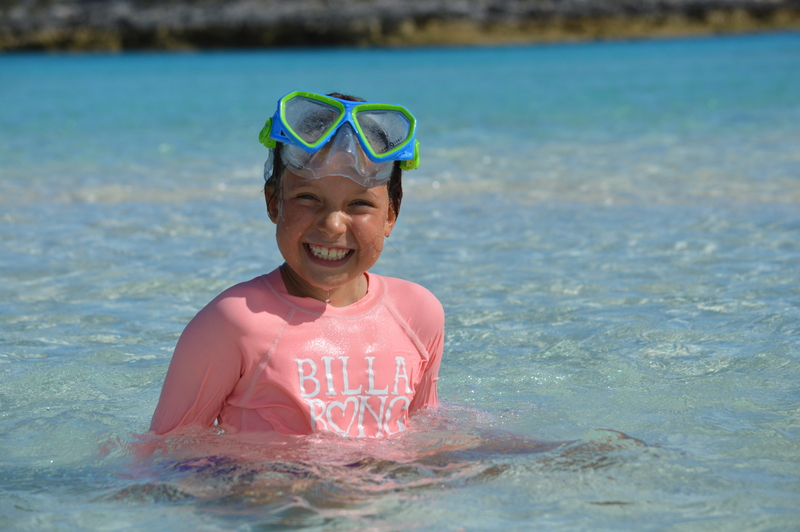 Everyone told us the water in The Exumas is the best in the Caribbean and they were right. It is so clear and so blue that words and pictures don’t do it justice. 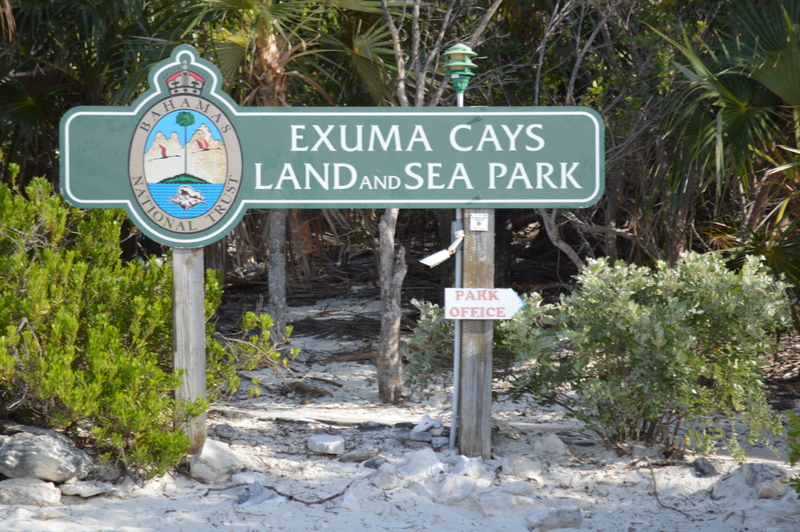 The Exumas is a long chain of islands in the southeast Bahamas. It is not very touristy because the islands are not easy to get to except by boat. The majority of the islands are uninhabited and you can find deserted beach after deserted beach. 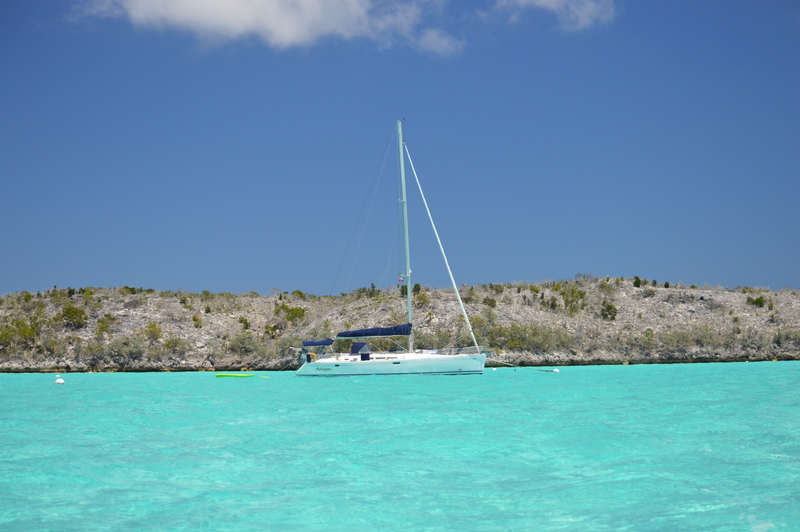 It took us about 6 hours to sail from New Providence to the northern part of The Exumas. 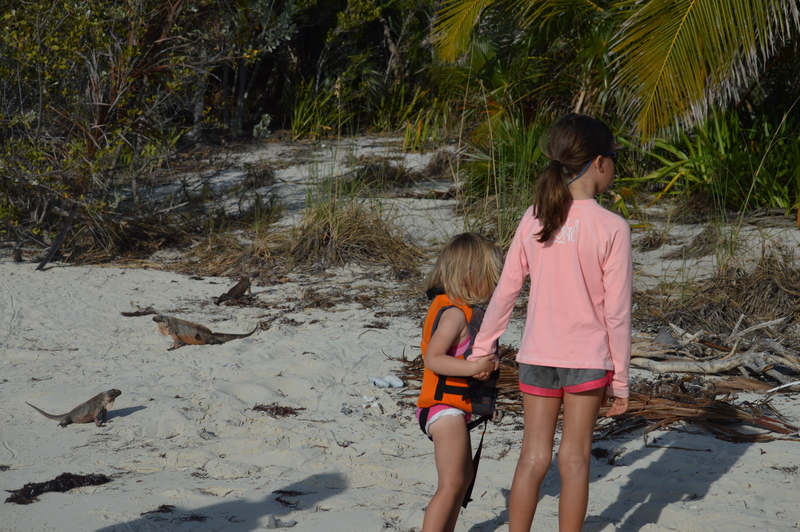 Our first stop was Allen’s Cay and Leaf Cay. 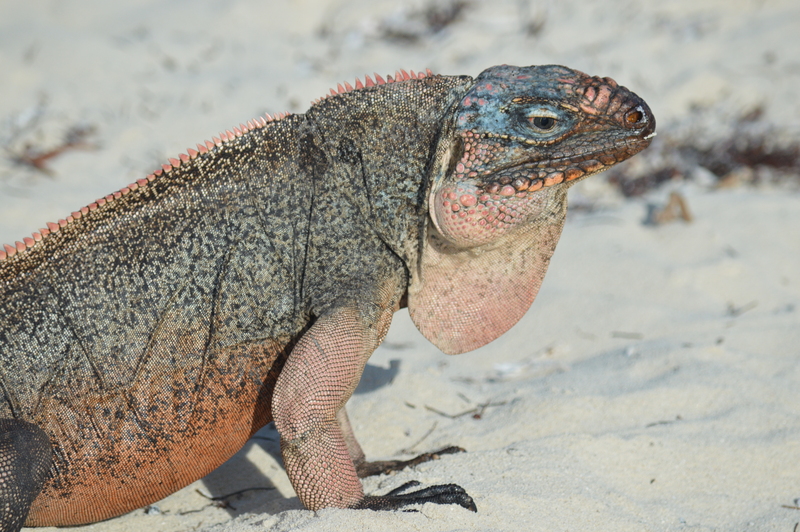 These two tiny islands are known for their endangered iguanas. Wow were these little beasts aggressive. We took a few pics and jumped quickly back in the dink (cool cruising lingo for your dinghy). 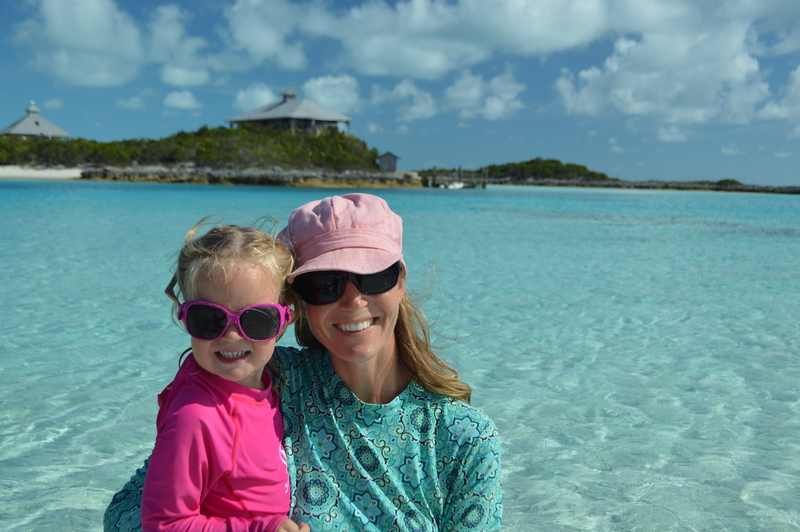 While we were at our anchorage at Allen’s Cay, we met a sweet couple from Washington. Joellen quizzed them if they had any animals on board (her go to question since she is obsessed with cats), and they replied that indeed they had two cats on their sailboat. The next morning Joellen had a special delivery. 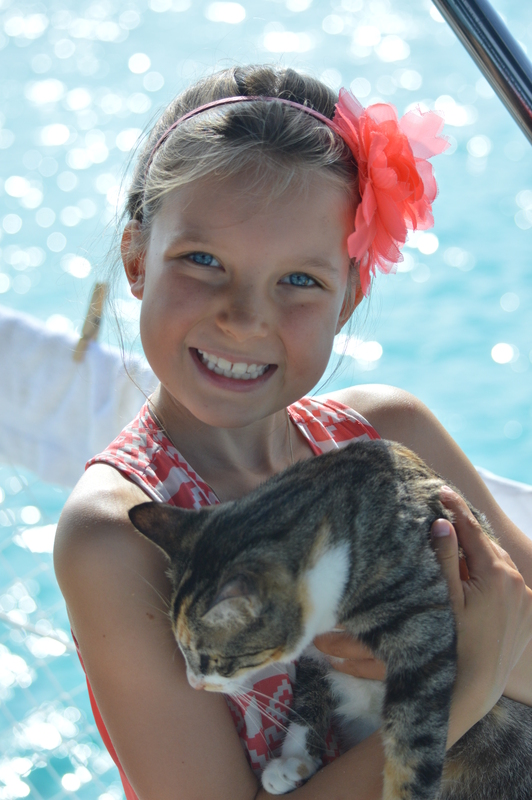 This was a first having a cat personally brought to our boat for a visit. What fun! 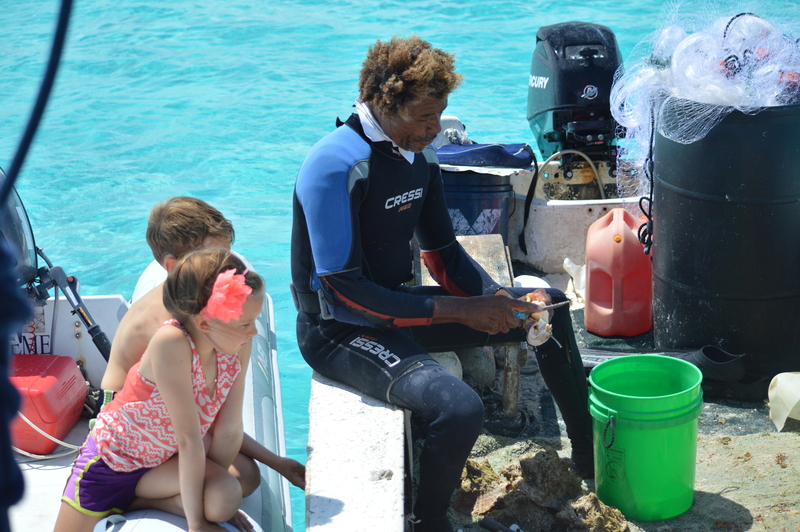 While we were at Allen’s Cay we met a local fisherman who sold us some conch. The kids had a ball watching him get the conch out of the shells. Conch is very popular in The Bahamas both to eat and to use as bait. 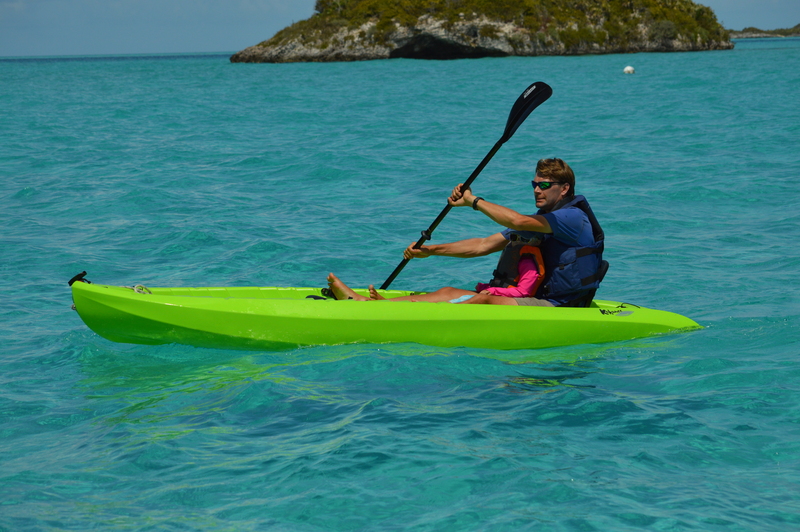 Next stop was Norman’s Cay. The Johnny Depp film Blow was based on the Norman’s Cay story of the drug-smuggling hub and tropical hideaway of the Medellin cocaine cartel. 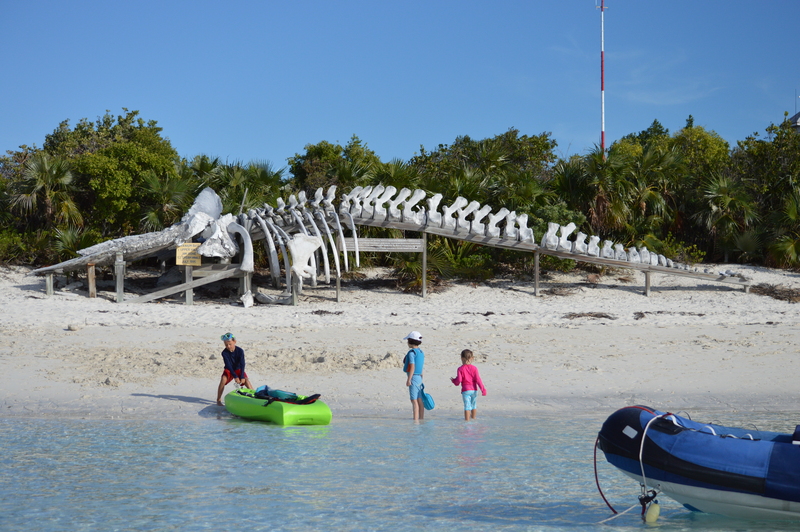 Real life relics remain like the airstrip and a sunken cargo plane offshore that we snorkeled over. No drugs anymore here…just sandy beaches. In Norman’s Cay we ran into a cruising family we met back in Miami. We hung out with them for two days before we parted ways to different islands. Next we sailed south to Warderick Wells, part of the Land and Sea Park. The Land and Sea park is a national protected area where there is no fishing and nothing can be taken from the land or ocean in the park zone. 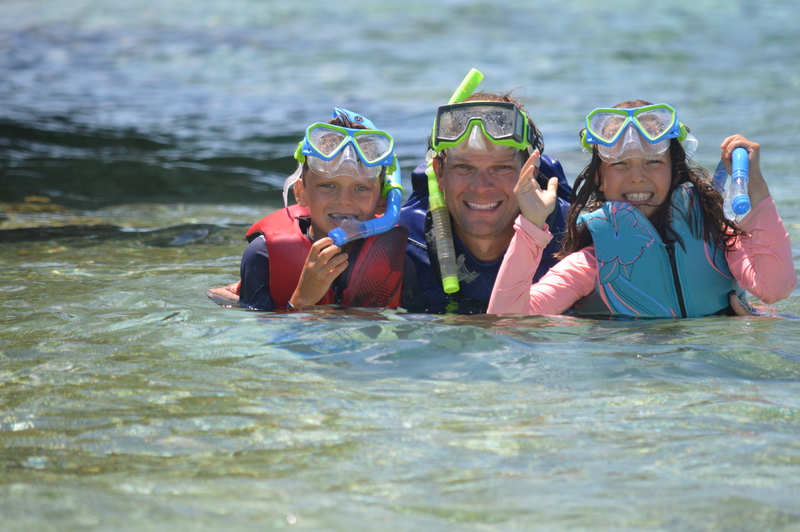 Warderick Wells has fantastic snorkeling and beautiful water like nothing we’d ever seen before. We loved it so much we spent a whole week at Warderick Wells. 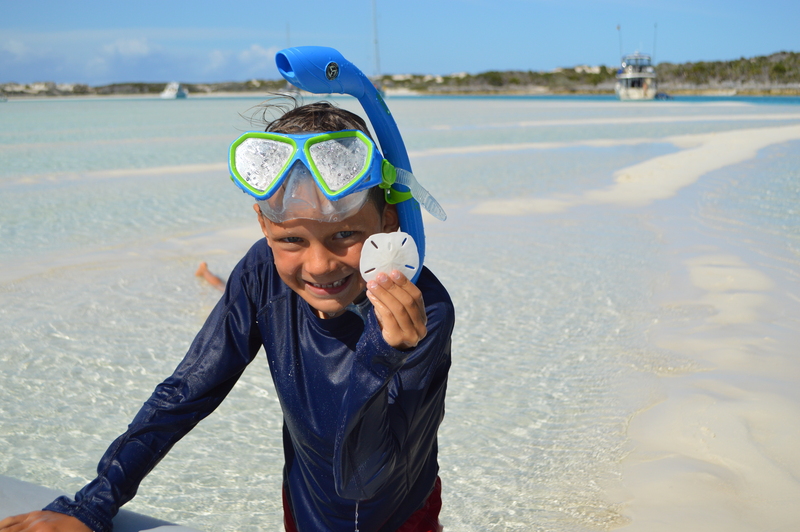 Camden’s favorite was snorkeling near Emerald Rock and Joellen and Maria’s favorite was the sand bar at low tide. Here at Warderick Wells we ran into friends we met back in New Providence. They too had cats on board so Joellen schmoozed her way into us all having dinner over on their boat. 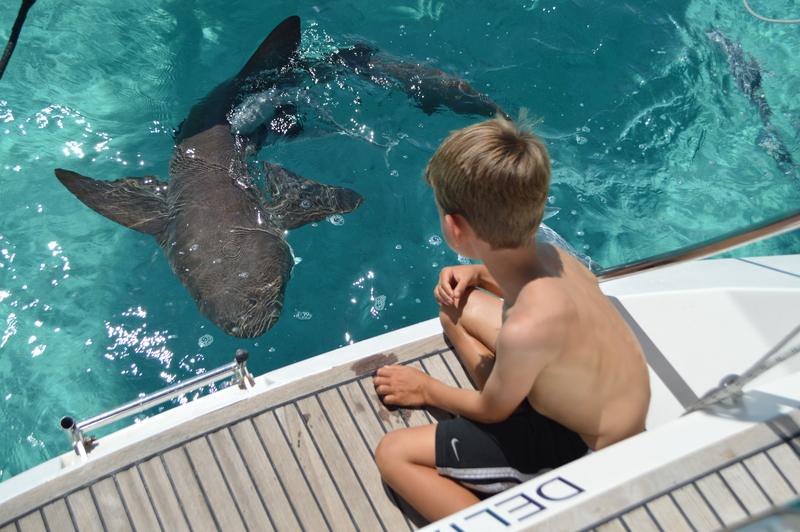 Oh wait…Camden is now telling me that he’s changing his favorite part of Warderick Wells to the shark we named Kenny that visited our boat every evening. Don’t worry, Kenny’s a nurse shark and they are the “nice” type of shark. Tourists actually pay money around here to swim with the nurse sharks. While Kenny was sweet and all, we did not let Cam get in the water. This mama has her limits. 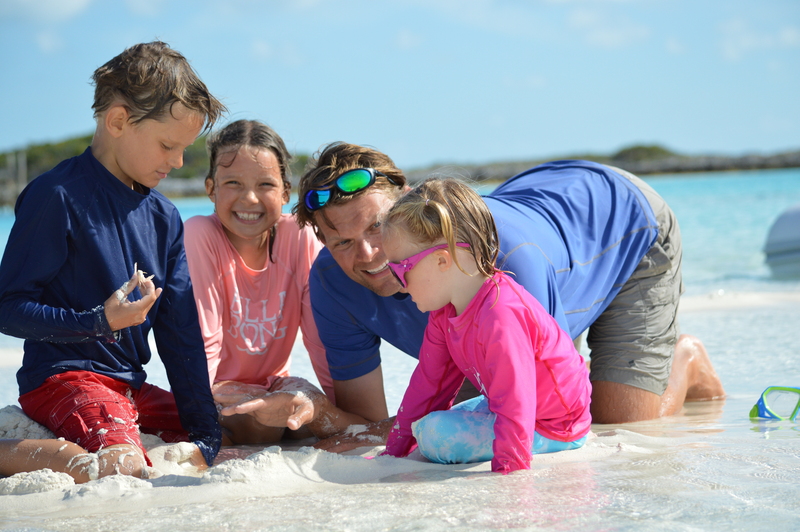 Warderick Wells is a definite stop for us again next year when we return to The Exumas. It is paradise found. April 24, 2014 in Fun, Movement. Wow it is so beautiful there! The children look like they are learning so much. What fun!!! We know EXACTLY where you guys are….Jim’s Uncle Jerry used to live on Norman’s Cay….his house was the one named Hideaway (there are only 6 houses, so it was pretty easy to find!). 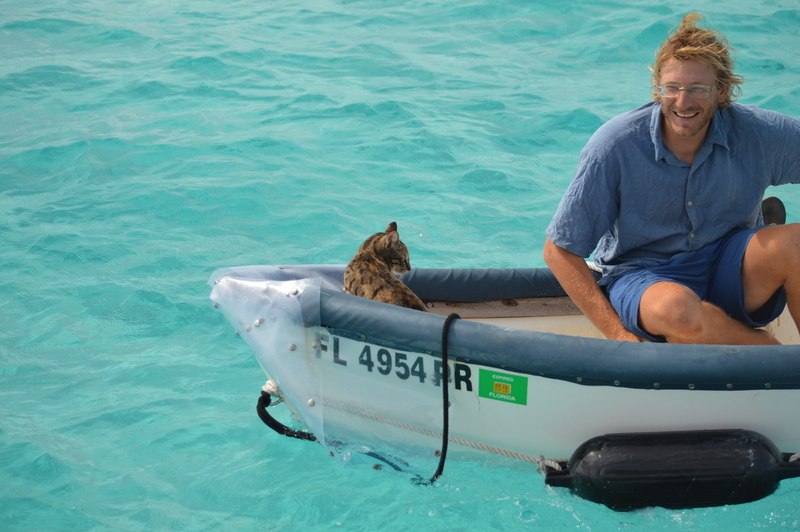 Reading about Allen’s Cay, the iguanas and that beautiful blue water brings back great memeories!! 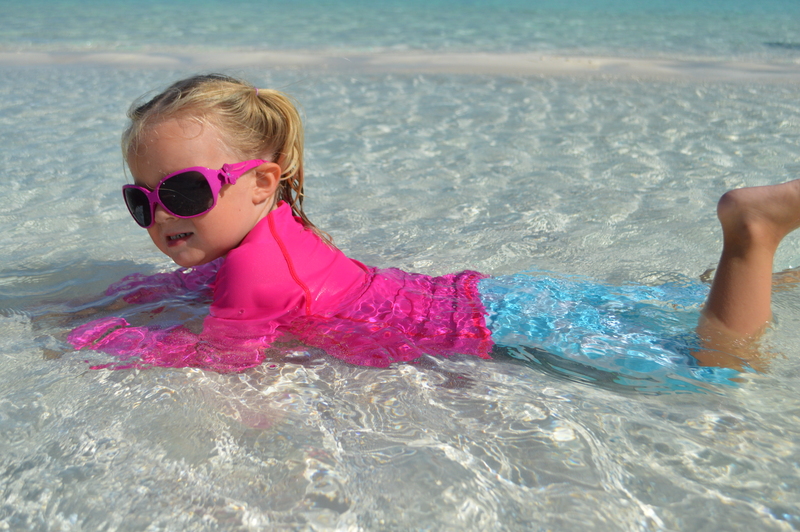 We remember the endless stream of deserted beaches….making bathing suits totally optional!!! So happy for all of you–what a wonderful experience for the whole Konesco Crew!! So great to hear from you. Hope you are doing well. Again Jen, your pictures are fantastic! 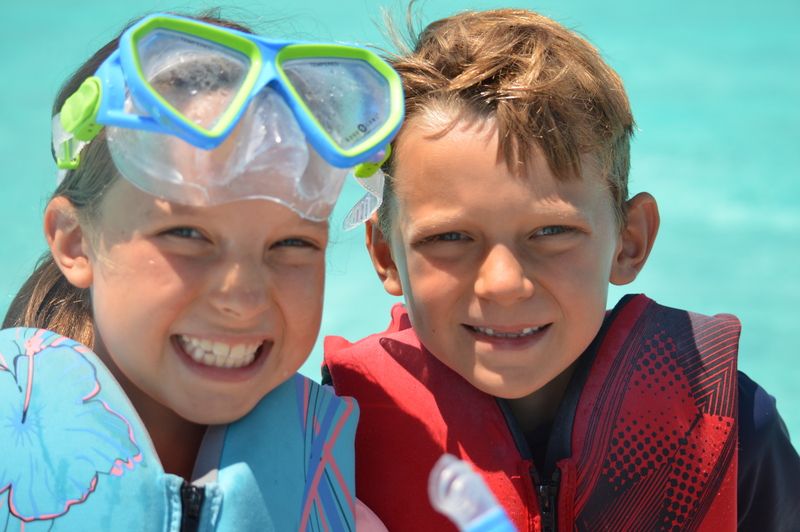 We are envious of the beautiful water and all the snorkeling you are doing. You all look so happy and healthy. Has Cam seen any bonefish yet? Happy sailing Konescos!!! Miss you and love you. Very jealous right about now. Your pics are amazing – what a wonderful place! What an experience for all the Konesco’s! Pictures are wonderful memories. 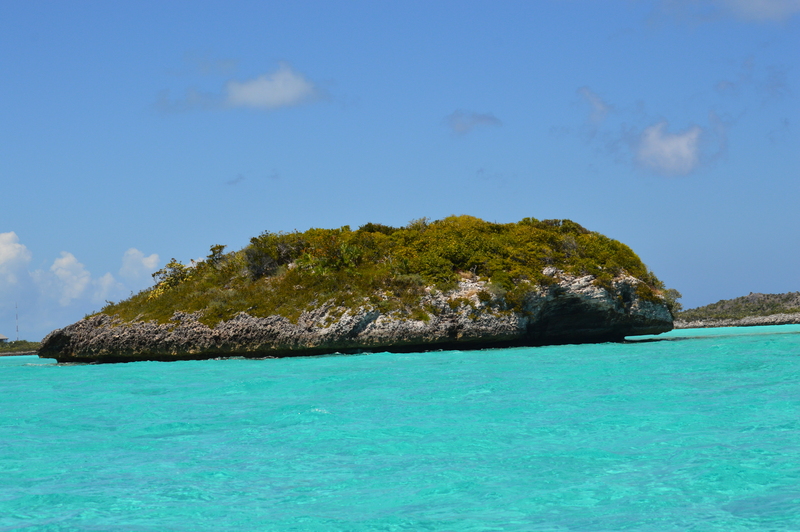 I have a new trip on my bucket list, the Exumas! I love all the pictures and stories. 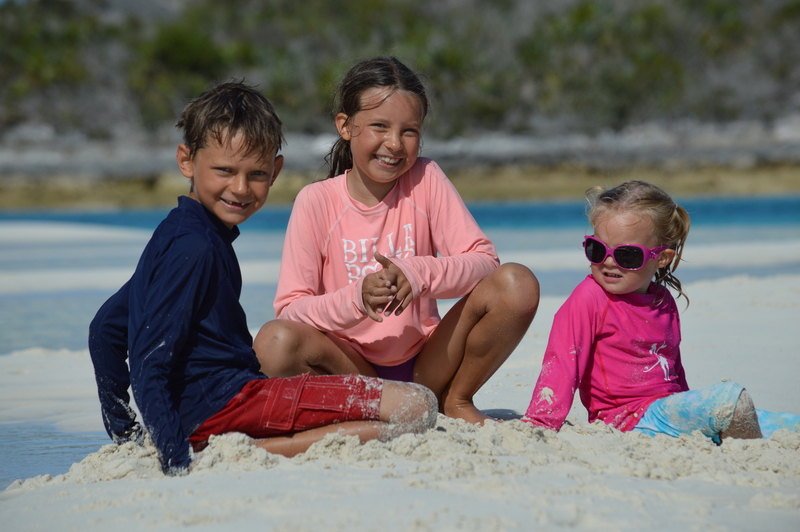 The family is having fun in the sun and great smiles. Oh my gosh, I want to be right there with you! You are amassing a lifetime of fabulous memories that most people could only dream of! Just adore your commentary and photos!!!!!!!!!!!! Wow Konesco’s, what amazing photos and stories!!!! I loved hearing your update and hearing that life has never been better! Praise God!! Great pictures! You all look so fabulous! It’s so nice to see you having such a great time! Amazing pictures!!! Beautiful!!! Love your postings! Thanks for sharing! Jen did you have a birthday recently? Happy Belated birthday!! God Bless you all and we’ll pray that you continue to have safe travels!! What a beautiful place. Looks like all is well with you and your family.